I got the lamb curry box. The proportions are definitely good to split for two meals. It tasted delicious, though I definitely think they took it easy on me with spice level. 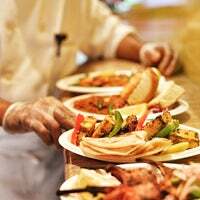 Delicious Indian food with a large selection, including kebabs and succulent chicken tikka. Friendly and relaxed environment. Water is not readily available so being your own if eating in. The chicken bhuna roll and paneer bhurji are the favorites. Late night snacks with Bollywood music blaring occasionally. You would see a lot of your drunk desi friends here at night. 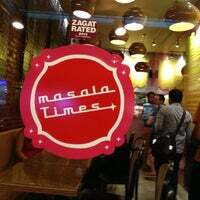 This place is a great little joint for reviving nostalgic after college cafe bites around india. Most things on the menu are top notch but the kheema pav truly stands out. Loooooooove this place! A million times better than Kati Roll! Extensive menu for late night snack! 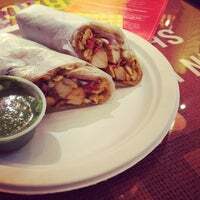 Try the paneer burji roll! The guy on the phone is hilariously rude but the chicken tikka is reallyy tasty. Too bad you can only get it accompanied with rice and sides (which are meh and take up a ton of packaging). Big portions. Chicken bhuna roll is a great choice. If you like spicy, dont forget to ask for 2 of the green chutneys. 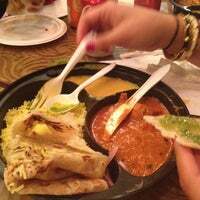 My favorites are the chana masala, chicken or lamb bhuna and the pav bhaji but I've never had anything bad here. 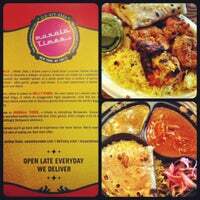 We had the chicken vindaloo and the chicken tikka masala, both were excellent! Vindaloo is super spicy, excellent! Chicken box tika masala....seamless.com at its best! 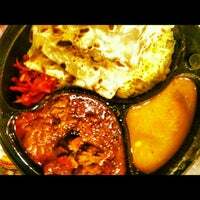 Great choice to start with Indian good in terms of spiciness. 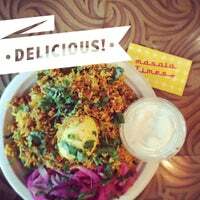 Veg box with paneer burji is great at 11$ also ask for a raitha. 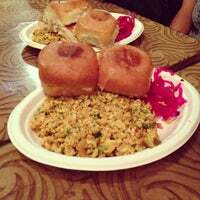 Unda Bhurji Pav (eggs with onions and peppers, first item on menu) is a superior replacement for a breakfast burrito! Tiny space but your perfect late night food spot. Really good food at great prices. 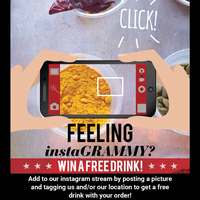 try out our app to order your next meal! limited period offer...first order gets 5% off! All the curries are very good. Also try the cauliflower appetizer. There may have been a serious brawl breaking out as we left our table. Bring your A game if you are looking to eat "to stay"! Chicken bhuna roll with the spicy green chutney - yum! get the paav bhaji! ask them to make it spicy :P enjoy! The chicken vindaloo is actually spicy. 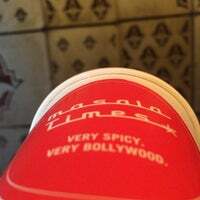 Best Indian take out for value and taste. fish tikka is a sleeper hit. skip your usual and try it. Keema Pav Bhaji with Mango Lassi. Spiciest food in the village + they have limca! You can't go wrong. Chana Masala roll, yes! Fast pickup time too, hope to be back soon! Bring your own beer, you can get some from the store across the street! Try their lunch box special. An extraordinary amount of food at a great price. 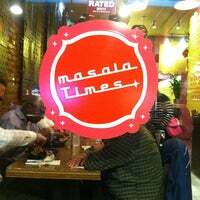 Chai at the end of the meal is a must here. 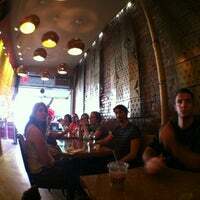 "You can't go wrong with the beet root Kati roll and the ground lamb one! Ask for ground chili on the side." 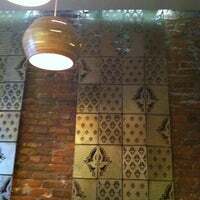 "Order the lasuni gobi - cauliflower fried with tomato and ginger. It's not on the menu but it's my favorite thing here"
"toma cafezinho aki e otimo"